How can an 11-year old boy hear a Mozart fantasy for the first time and play it back note-for-note perfectly-but struggle to navigate the familiar surroundings of his own home? Cathleen Lewis says her son Rex's laugh of total abandon is the single most joyous sound anyone could hear, but his tortured aversion to touch and sound breaks her heart and makes her wonder what God could have had in mind. In this book she shares the mystery of Rex and the highs, lows, hopes, dreams, joy, sorrows, and faith she has journeyed through with him. 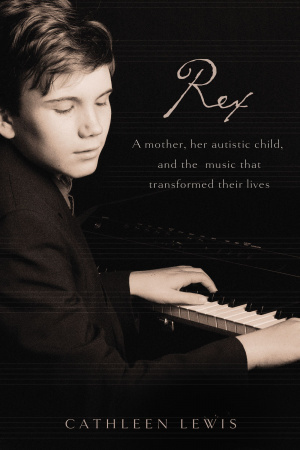 Rex by Cathleen Lewis was published by Thomas Nelson in February 2009 and is our 16172nd best seller. The ISBN for Rex is 9781595552082. Be the first to review Rex! Got a question? No problem! Just click here to ask us about Rex.